I have been looking for a great headset to use with Lync 2010 and recently started using the Plantronics Savi W430. Normally, headsets and I do not get along well. Most of the time after about 10 minutes, my ear is so sore I can't stand it. That is why I've used a corded headset for so long (close to 5 years) even when I had another wireless headset in my laptop bag. I'm not exagerating when say that I can wear the Savi W430 for a full day and hardly notice that I am wearing it. In fact, the only time I take it off is when I want to, or it needs to be charged. For me, the smallest foam ear bud was the most comfortable, but the headset came with quite a few options depending on your preference. Sound Quality always is fairly high on my list, but it has been quite awhile since I've encountered an audio device that was horrible with sound quality. The Savi W430 is capable of Wideband audio, and there is quite a noticable difference from what I was used to on my old headset. 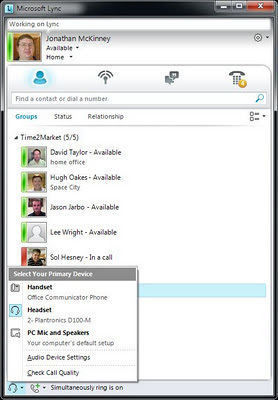 Speech is amazingly clear and crisp for speaking and hearing when making a call. The other item I noticed when making test calls is that background noise is dramatically reduced. Users no longer hear typing from my keyboard. My normal speaker phone picks up that type of noise up easily. The background noise reduction is also very handy when working on home. Much of the noise that I used to be concerned with (and constantly muting myself) no longer is heard by the person I am calling. The Savi W430 is also DECT 6.0 based so I can actually walk upstairs through most of my house and still maintain a converstaion. I have traveled an average of 50% for 12 years. Any headset that I use, needs to travel. I've only had the Savi 430 for a couple of weeks, but it seems very durable. The headset comes with a travel bag and charging cord (different from the charging base pictured). Although sufficient, I would have preferred a hard travel case rather than just a little bag to put everything in. The headset earbud/mic can also rotate so that the headset will lay flat and the ear bud or mic has a less chance to be damaged. The Savi 430 has a stated Battery Life of up to 6 hours. Although I would prefer more, I'm not sure I would trade the additional talk time for less comfort. When recharging the headset, the charge time can take as long as 3 hours which is not that impressive. The Savi 430 was a breeze to setup. 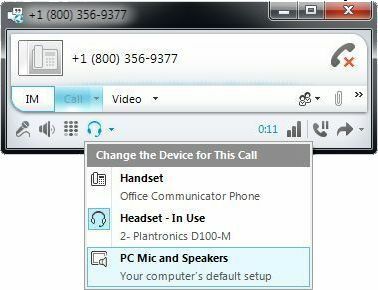 Lync 2010 automatically detected the headset and it appeared in the audio devices menu without the need to do any configuration or setup. 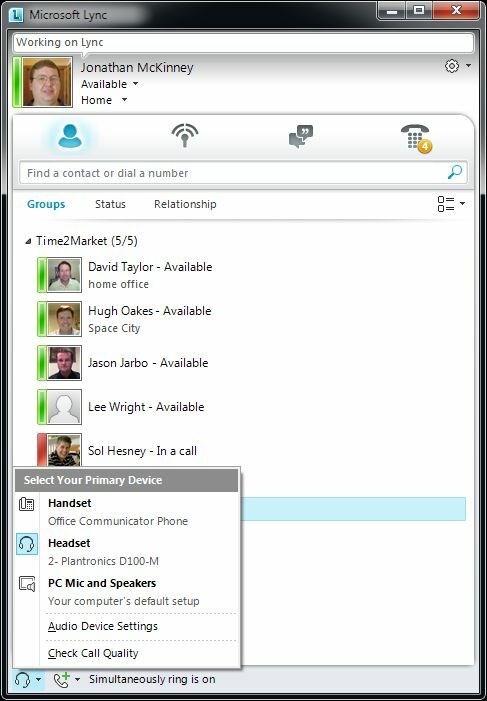 With Lync 2010, switching between devices is crazy simple now, and switching between this headset and a desktop phone during a call is no different. 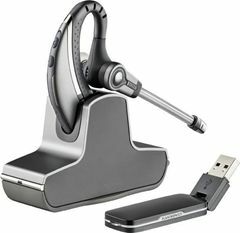 I also found the Plantronics Knowledge Base to be the key to understanding how to use the products more advanced features. I could not find an explanation for all the different colors and blinking lights in the documentation that was shipped with the product. Also, little things like how to mute yourself while on a call was not obvious, but once it is known, it is a very simple process. 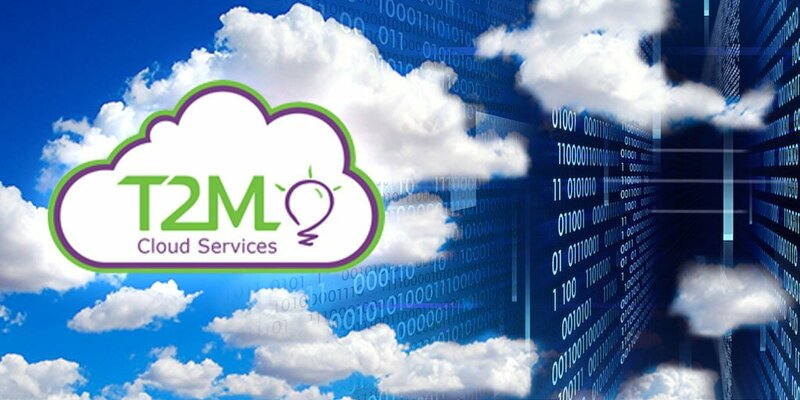 Here is the link to the knowledge base article I found on the Savi W430. Based on the comfort, sound quality and travelability and ease of setup this is the best headset I have used to date. Although the travel bag and charging time could be better, I would not hesitate to recommend this headset to a customer.